I’m proud to announce that my Star Trek Discovery novel Desperate Hours is a finalist for the Dragon Award for Best Media Tie-in Novel! Also nominated this year in the Best Media Tie-in Novel category are Leia: Princess of Alderaan by Claudia Gray, Before the Storm by Christie Golden, Phasma by Delilah S. Dawson, Fear Itself by James Swallow, and Legacy of Onyx by Matt Forbeck. It’s a formidable field of very talented authors and superlative works. If you’ve already registered to vote in the Dragon Awards, you should receive a ballot soon, if you haven’t already. If you decide to cast a vote in support of Desperate Hours, you will have my deep gratitude. If you want to vote for one of the other works, that’s okay, too. They are all excellent novels, deserving of praise and recognition. 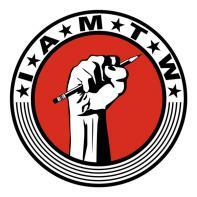 The International Association of Media Tie-In Writers (IAMTW) has announced its slate of nominees for this year’s Scribe Awards. Among the nominees are several authors who I’m proud to call my friends and colleagues. I’m also excited to say that I have a work on this year’s short list, my Star Trek: Discovery novel Desperate Hours is a nominee in the Best Original Speculative Novel category. My best wishes to all of them, and my heartiest congratulations to my old friend Greg Cox, who has been chosen as this year’s recipient of the IAMTW’s Faust Award, which recognizes his outstanding career of achievement and elevates him to “grandmaster” status within the organization. The Scribe Award winners will be announced in July, at the San Diego Comic-Con International. In late January of 2018 I recorded a video interview via satellite with Australia’s own TrekZone Spotlight, hosted by Matthew Miller. We spoke about my work for Star Trek Discovery, the differences in writing licensed fiction versus original works, and my upcoming new Dark Arts original fantasy series, which kicks off on January 30 with The Midnight Front. Our discussion was brief (only about 25 minutes), but it yielded some excellent material. I had a great time chatting with Matthew about my work, and I hope you’ll give this interview a look. 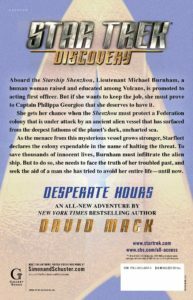 To celebrate the arrival of new episodes of Star Trek: Discovery on January 7, the folks at Simon & Schuster and Amazon have teamed up to bring Star Trek book fans an awesome Kindle Monthly Deal: for the month of January 2018, the eBook version of my Star Trek: Discovery novel Desperate Hours will be on sale for just $1.99! Make no mistake, that’s a huge savings. The eBook’s price is normally chained to the cost of the print edition, meaning that some sites were charging as much as $15.99 for the eBook. So this is $14 off the cover price. 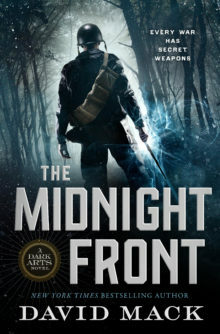 Bottom line: If you’ve been putting off picking up the eBook of Desperate Hours until the price hit a more reasonable level, this is the moment you’ve been waiting for. Grab a copy of the eBook and make sure to share the news far and wide. 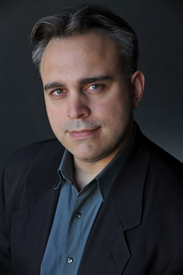 If you want to check out more of my blatherings in print and other media, check out my Interviews page for a listing that goes back many years. After a very long process of development, writing, and editing, I am thrilled to announce that publication day has at long last arrived for my new novel, Star Trek: Discovery – Desperate Hours. The book is available now in trade paperback, eBook, and digital audiobook formats. 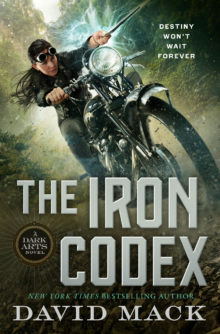 It’s also available today in a German translated edition from the fine folks at Cross Cult Romane. Grab your copy today, and be sure to order a few extras — it makes a lovely gift for the Star Trek fan in your life! I am very excited about the release of this book because I think it is the most Star Trek-y story I’ve written for a Star Trek novel in a long time. 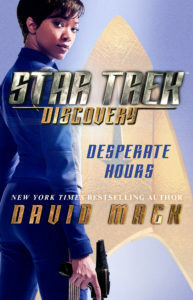 Based on a premise requested by Discovery co-creator Bryan Fuller and guided into being by my extremely talented and insightful friend, fellow New York Times bestselling author and Discovery staff writer Kirsten Beyer, Desperate Hours is a story about confronting one’s past, learning to forgive, and solving problems through science and cooperation rather than through force or politics. As revealed at last week’s Star Trek Las Vegas convention, the events of Desperate Hours take place on May 11–12, 2255, one year before the events of Discovery’s two-part pilot, and roughly one year after the Enterprise’s first mission to Talos IV (Star Trek: The Original Series, “The Cage”). It will delve into the relationships and rivalries that led to and define Lieutenant Commander Michael Burnham’s service aboard the Starship Shenzhou, and it will also force her to confront her complicated past on Vulcan. 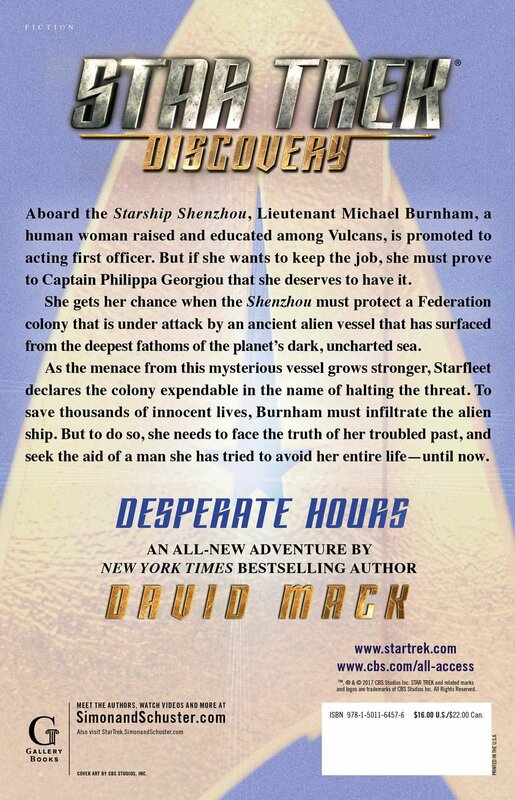 Star Trek: Discovery – Desperate Hours is available now for pre-order from the publisher as well as a variety of online retailers, in trade paperback, eBook, and digital audiobook formats. It is scheduled for publication on Tuesday, September 26, 2017, just two days after the series’ premiere on CBS and the CBS All Access streaming service.